Paraphrase Productions is always looking for more ways to empower aspiring artists in the craft of theater. We believe that theater should never stop growing and changing and therefore we should never stop learning. We are excited to provide young artists training to become directors, producers, stage managers, and designers who will bring new ideas and inventive approaches to old techniques. The Emerging Artists Program creates a space for aspiring artists to further their craft in a hands-on environment. The Emerging Artists Program at Paraphrase Productions is a unique opportunity for people to gain in-depth, hands-on training in the area of theater they love most. Whether it be directing, stage management, producing, or design, Paraphrase Productions equips new artists with the tools and resources to do what they love. The goal of the Emerging Artists Program is to train new directors, stage managers, producers, and designers to begin mastering the craft they are interested in pursuing. They will be given both creative freedom and constructive guidance as they bring their visions and ideas to fruition in a play production. Hear from Alex Thibeau, Directing, and Peck Trachsel, Scenic Design, about their experience in the program. Those interested in the Emerging Artists program will apply no later than November 1st. Once applicants are selected they will be paired with a mentor in their corresponding department. That mentor will be responsible for training them to the best of their ability. Emerging Artists will be given a number of tasks and responsibilities that train them for a future in that department. All emerging artists will serve as members of the creative team for Paraphrase Productions' main stage musicals for a period of 3 months. Emerging artists will have the unique opportunity of producing a play. This program cumulates with each artist taking on a leading position in their respective department. They will not only learn under a group of great mentors, they will be able to create a show of their own and implement the things that they learned during the first segment of their training. Must have experience in Theater. Lloyd Brewer and Maya Aizenman working hard to adjust their calculations. Applications must be filled out digitally. Hand written applications will be sent back for re-submission. Once you submit application, you may be asked for resume and letters of recommendation. Please have those readily available. Q: How many hours a week should I be expecting to put into this program? A: Although it is different depending on what section you are in, you will be expecting to work around 20 hours a week. That will vary from week to week, however. If you are not able to work that many hours a week we will try to work with your schedule as much as we can. Q: What is the expected budget for the capstone project at the end of the program? A: While each production’s budget is dependent on the funds raised in the year, the production will have an expected budget of around $2,000.00 which will be split between venue rental, purchasing of rights, set construction, and more. Q: Will I be able to perform in the Paraphrase Productions summer musical(s) as well as be a member in the Emerging Artists program? A: Artists are highly discouraged from performing in the summer musical while being a member of the emerging artists program due to overlap in rehearsal and performance schedules. Q: What does the play selection process look like? A: Directors of the Emerging Artists Program will be expected to research plays on their own time as well as read through and evaluate plays recommended by instructors of the Program. Directors will then follow a critique process to narrow down the selection. 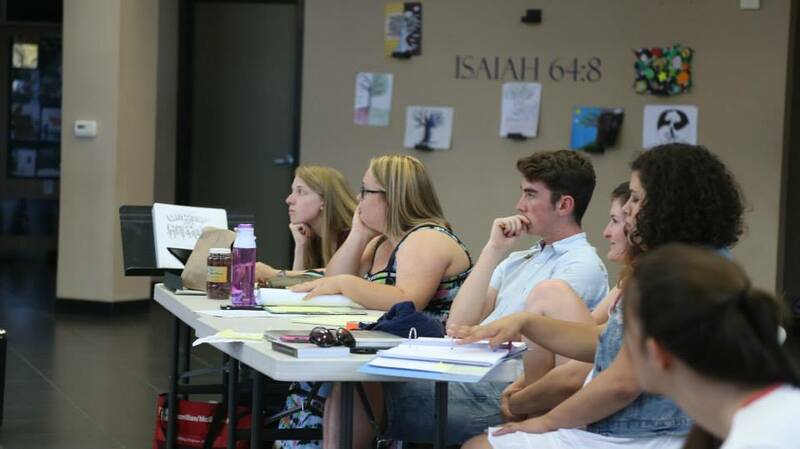 After the plays have been narrowed down to three the director will submit a proposal for each play to instructors. These proposals will then be looked over by Paraphrase Productions executive members who will make the final decision based on the logistics of the program. Q: What sort of instruction or help will I receive as an Emerging Artist? A: Paraphrase strives to make a unique experience for each artist in the program so everyone’s instruction will look different. That being said, each artist will receive one on one training from a program instructor as well as facilitated meetings with various experienced members in their specific section. In addition to this instruction, Paraphrase Team members will be readily available for any instruction beyond what is provided.